There’s no substitute for the smooth, rich warmth of vanilla. 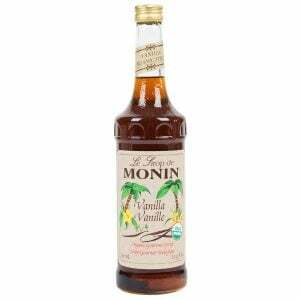 So when you add our Organic Vanilla Syrup to your specialty beverages, you’ll taste the rich, premium vanilla bean extract immediately and feel good knowing that it’s always made with organically grown pure cane sugar and the finest natural/organic flavors with no additives or preservatives. Monin Organic Vanilla Syrup adds rich, smooth flavor to lattes, mochas, smoothies, shakes, specialty cocktails or even whipped cream.